Ethiopia’s commitment to now implement the nine pledges through its Comprehensive Refugee Response Framework (CRRF)  plan are expected to result in expanded opportunities for refugees that will provide greater freedom of movement, better access to education, jobs and socio-economic services and will also allow for some additional benefits for refugees living in Ethiopia. To provide other benefits, such as issuance of birth certificates to refugee children born in Ethiopia, and the possibility of opening bank accounts and obtaining driving licenses. Most of the people in these camps are from neighboring countries of South Sudan, Sudan, Eritrea, and Somalia as a result of fleeing from violence, war and persecution in their own countries. 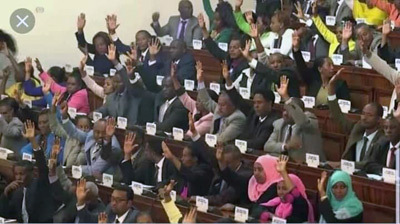 UNHCR and the UN Refugee Agency, along with others, have applauded the passage of this bill by the Ethiopian Parliament as historic and as a significant step to better integrate refugees into society; however, it has taken many Ethiopians by surprise, especially those living in regions hosting these camps like Gambella, Benishangul Gumuz, Somali and Tigray. Possibly the most affected region will be Gambella. With a total civilian population of approximately 360,000 people, Gambella is host to seven camps with a total of somewhere between 440,000 and 485,500 refugees, mostly from South Sudan. This amounts to approximately 50% or more of Ethiopia’s total refugee population [923,863]. In fact, Ethiopia is the second largest host country of refugees in all of Africa, with only Uganda exceeding it [1,470,981]. In fact, the Gambella region hosts nearly as many refugees as the entire country of Kenya [471,330] and close to the same number as the country of Chad [445,777], according to CRRF data [December 2018] . On the other hand, we must care about these refugees and find ways to help them. Ethiopia has hosted countless refugees over its history. Our Ethiopian border regions have particularly been safe-havens for many refugees coming from war-torn neighboring countries. For example, the people of Gambella have welcomed countless refugees over the past decades of war in South Sudan. During those years, they used to walk miles, carrying water, food and other supplies, to meet the weakened and hungry who were seeking safe refuge. When the Tigrayan highlanders were forced to resettle in Gambella during the 1984 drought, they were unfamiliar with how to live and survive in a very different climate. Many died. Again, the local people reached out to help them. This is a value that should be foundational to our Ethiopian society. The freedom, justice, safety and well being of our neighbors, even those over the borders, are closely linked to our own. How can we create safeguards so that the best outcomes are more possible to be achieved for all? How do we respond when the people, both refugees and hosts, are in great need? How can we ensure that the problems over the border do not overflow and destabilize the region? How can we help build peace in their home countries as well as in our own? The new law offers many good things to refugees seeking better lives. Who could not have sympathy for those whose lives have been put on hold for years as they wait for peace and justice to return to their own countries or for a better opportunity elsewhere? They have suffered much from violence, war, persecution, human rights abuses, loss of family members, displacement and related hunger and ill health; however, we must be honest. We must also deal with difficult challenges within our own country. One is the fact that 2.5 million Ethiopians are currently internally displaced within Ethiopia due to ethnic violence and conflict, particularly in border regions like Benishangul-Gumuz, Somali and Oromia. Secondly, many of our fellow Ethiopians are living in refugee camps in neighboring countries, like South Sudan, Kenya, Uganda and Sudan. Some, like many Anuak of Gambella, have been there for 15 years or more due to the Anuak massacre of 2003 and the subsequent land grabs with its associated human rights abuses. Countless other Ethiopians are living in other countries in Africa or beyond. Thirdly, we in Ethiopia are also struggling with many life issues, from extreme poverty, to lack of jobs and education, to destabilizing ethnic violence and conflicts in some places. With our new government administration of Prime Minister Abiy, thankfully, much is changing for the better; however, will this bill, or subsequent initiatives, address our own issues as well? Our people living as refugees or internally displaced in our own country are seeking the same safety, freedom, justice, education, jobs and opportunity as those living among us. Additionally, many from host communities and other places within Ethiopia are also seeking similar opportunities. What will be the benefits to the local populations near to these camps, especially those most marginalized and neglected? I attended the meeting in Gambella last July, the purpose being to consult with the local stakeholders regarding the proposed refugee law and its implementation. It was held in Grand hotel, the most expensive hotel in Gambella and was attended by approximately 25-30 people. The former president of Gambella region, Mr. Gatluak Tut and his deputy Mr. Seany Akwor were there, along with representatives from ARRA and other groups. The meeting was conducted in English rather than in the national or local languages and was not translated. The majority of stakeholders were unaware of the meetings and of the entire initiative. The many unanswered questions have already alarmed the people. If time is not taken to consult with stakeholders; fear and anxieties could bring emotional reactions rather than needed support and collaboration. There are many very excellent aspects to the Road Map CFFR plan; however, it is critically important for Prime Minister Abiy, the ARRA and those in the federal, regional and local governments to listen and respond to the concerns of the people. There may be numerous benefits to the local people, but most assume they will never materialize. Some Ethiopians have voiced a lack of trust in ARRA. At the same time, some of the refugees have already started to come into previously restricted areas, explaining to locals that they had been told they could go anywhere now. Trust-building is an extremely important part of the success of this plan due to the lack of trust still running strong in Ethiopia. Corruption, bribes, money laundering and cronyism have run rampant for years, robbing the people of the country of its financial and resource assets. It is extremely important to take the time and effort to make sure all these areas are examined and that it is done right, even if it means putting some aspects of it on hold. Those organizations involved in the programs,must show a high degree of transparency and accountability. Stakeholder involvement: As mentioned earlier, the bill passed this past week has come as a total surprise to most people, in particular, those in host locations who will be most impacted. The Road Map describing CRRF’s structure and implementation emphasizes stakeholder involvement; yet, this appears to have only been done superficially. The constitution also calls for local consultation with the people on issues affecting their regions in addition to international law that requires consultation where indigenous people will be impacted. The issues related to hosting refugees have been repeatedly brought up in these impacted regions as one of the most important issues, even when Prime Minister Abiy visited the Gambella region; however, the answers still have not been forthcoming. It is imperative to address this before any action is undertaken. Equitable opportunity: If you review the comprehensive plan of action to implement the CRRF, it has many positive features. It addresses aspects of life that could give a better future to this huge number of individual refugees; however, it is also very important to address similar needs of Ethiopian citizens so there is a balanced approach that does not exclude Ethiopians who face similar struggles. Poverty challenge: World Bank’s 2018 report on poverty, "Piecing Together the Poverty Puzzle," indicates that Ethiopia is one of five nations with the largest number of people living in extreme poverty (those living on less than $1.90 per day). The list includes India, Nigeria, the Democratic Republic of the Congo, Ethiopia and Bangladesh. The projections for 2030 are not positive for the future of the three African countries, including Ethiopia. The home countries of the refugees represented here may not have even been measured. How could all benefit from such a program if it actually does create greater self-reliance rather than dependency? Economic growth: Anti-poverty measures, like those addressed in the CRRF plan, are needed for Ethiopia and must also include such basics as a non-politicized and non-ethnicized system of justice, the rule of law, land rights/ownership, capital, measures against corruption, infrastructure development and safeguards and protections to ensure rights for private and foreign investors. Land rights/ownership: Land is a very sensitive issue in these regions. Land grabs of the past recent years still remain unresolved. The CRRF initiative involves the acquisition of some land and it may open the need for more study of land rights, including indigenous land rights and private ownership. Land is linked to capital, which is linked to accessing loans, an important element of economic growth. This may be critically important to study this issue before conflicts and violence over land create ongoing problems. Education: Where is the data regarding the state of education in Ethiopia? Right now, some schools are not open, denying access to education for Ethiopian children. In Gambella, schools in some places are closed since teachers have gone without pay for months. Allegedly, investors in the region who were taxed in order to pay the costs for these schools, have decreased in number from 94 to 14, causing a severe shortage of funds. Instead, children as young as eight years old are picking cotton for approximately 20-30 birr per large sack [about $0.71 USD]. What is our future without education? If Ethiopia’s own students are left out of the benefits of this law, what will happen? Political Involvement: What are the policies for political involvement for refugees? Uganda has a law that prohibits political activity, including voting in elections, running for public office and other types of political activism. This should be fully examined. Working models: Uganda is used as a model for a more open approach to refugees and seems to be working, but has some limitations, including lack of jobs. Many refugees live in small houses, owned by others, on small lots where gardening and other activities can be used to supplement incomes and add to food sources; however, with the exception of a some who have been there for nearly fifty years, the others remain refugees. Many yearn to return to their home countries. Refugee settlement: Study and dialogue should take place regarding the resettlement of refugees if that becomes part of the plan. In places like Gambella, which has a significantly smaller civilian population than the number of refugees, it is a sensitive issue. Again, it is closely associated with the need to examine the benefits to the privatization of land in Ethiopia. Refugees should not all be settled in their current host districts and regions; but instead, should be settled in regions throughout the country. Open borders/flow of guns: Many of the refugees from South Sudan sought refuge from the fighting going on in their country. This included some of the military bringing guns over the border and reportedly, some military training going on in the region. Conflicts within Gambella, have incited violence with little resolution through an equitable rule of law and justice system. South Sudan has become a failed state. With a porous open border, caution must be taken to better ensure the stability within these outlying regions, so it does not overflow into Ethiopia. Pressure for peace in South Sudan: Examine policies for areas where pressure for resolution of conflict in South Sudan could be productive; leaders among these refugees may be perpetuating the conflict, making it impossible to resolve refugee issues due to the continued civil strife in South Sudan. Neglected/Marginalized Regions: Does the Ethiopian Federal Government really care about its minorities? This is a question being asked among people in these regions. The influx of refugees to places like Gambella would be more than the local population, overwhelming the region. 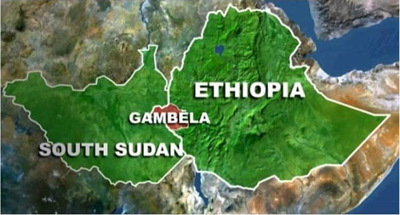 As indicated, Gambella hosts nearly as many refugees in their one region as the entire country of Kenya. How can this work? Many are worried and unable to get answers to their many questions despite the implementation of the CRRF plan. WHERE IS THE PRESSURE FOR PEACE IN SOUTH SUDAN? DOES THIS CRRF PLAN MEAN THE INTERNATIONAL COMMUNITY HAS GIVEN UP ON THE POSSIBILITY OF PEACE AND THE RETURN OF SOUTH SUDANESE REFUGEES TO THEIR OWN LAND? We are determined to address the root causes of large movements of refugees and migrants, including through increased efforts aimed at early prevention of crisis situations based on preventive diplomacy. We will address them also through the prevention and peaceful resolution of conflict, greater coordination of humanitarian, development and peace building efforts, the promotion of the rule of law at the national and international levels and the protection of human rights. Equally, we will address movements caused by poverty, instability, marginalization and exclusion and the lack of development and economic opportunities, with particular reference to the most vulnerable populations. We will work with countries of origin to strengthen their capacities. The New York Declaration for Refugees and Migrants addresses the needs of refugees and migrants in host countries like Ethiopia, offering integration and services at a new international level; however, part of its resolution commits to making efforts to build up the countries from which these refugees have come. In the case of South Sudan, many of the refugees in Gambella are from the eastern regions of South Sudan where land, water, and resources are untapped and abundant. They need freedom, justice, peace, development and participatory democracy so the people can build opportunity and create greater prosperity, utilizing these amazing resources. Like in the case of Uganda, the new CRRF plan can give them many advantages they did not have in the past that could improve their lives, but the fact remains, they are still refugees. The CRRF plan may be a temporary help, but many of these refugees may want to return to their homes and land if safety, basic needs and economic opportunity could be developed. Is the best opportunity for them really more years in the refugee camps or helping them to create a better life and community in their home country? Who should develop and enjoy the fruits of their beautiful land if not them? Yet, they need many things, including more infrastructure, such as roads and other means of transit that will enhance socio-economic opportunity, including links to the marketplace that will enable them to participate in this global economy. Another aspect of this alternative is the investment in the kinds of training, capital and empowerment that will enable them to take charge to bring transformation to their own land. Giving up on this path to independence would be a great loss to themselves and their country; yet peace is needed. Currently there is a new peace agreement signed. The UN, UNHCR, donor countries and countless organizations within the international community have significantly invested in South Sudan; yet, there are an estimated 2.4 million South Sudanese in refugee camps in neighboring countries like Uganda, Sudan, Ethiopia, Kenya and the Central African Republic and countless internally displaced people, some estimate to have reached four million. However, could this be a time for South Sudanese people to take ownership of their future and country and not to give up? Leadership battles have brought it to a stop; however, one South Sudanese leader shared that before statehood, the people united in prayer, crying out for help when all things were dark, when suddenly the light came through with a miracle. Yet, he shared, then the people forgot the source of their unity and became embroiled in deadly ethnic-based struggles for power, unleashing violence, civil strife and displacement, upending the hopes of the people for their new state. The victory of one was a threat to others. Instead of caring about all—putting humanity before ethnicity or any other differences, ethnic differences and favored leaders became points of division, believing it was limited to either-or choices which produced either bounty or nothing, depending who won. As a result, no one is free and all are suffering under this worldview. We are to care for others, even our enemies, as we care for ourselves, for not only is this right, but no one is sustainably free until all are free. Now, South Sudan is considered a failed state, but life may return if they unite for the best plan for their precious people and land. After decades of war, as many South Sudanese would say, everyone is traumatized. Healing and reconciliation is a primary part of restoring the people, enabling the foundation of peace to be built. This component leans heavily on the religious communities to implement. International organizations have recognized this as important, but perhaps this area could be more greatly supported, enabling stakeholder efforts. Along with this, what efforts can be made to put greater pressure on South Sudan to bring leadership to the forefront that will assure inclusive freedom, rights, justice, the rule of law, and opportunity to all its citizens, ending the violence and starting a national dialogue geared towards a South Sudan where all are included in its future? Can we emphasize healing, reconciliation and servant leadership for the good of all; starting with enabling faith groups, democracy building organizations and others to more intensely capitalize on the gathering of so many South Sudanese together in these refugee camps? Can South Sudanese leadership be brought together for the same? Can corruption be confronted and accountability be instituted more effectively? How can the CRRF program or others utilize these outside partners, those endorsed and trusted by the people, to play such roles? The faith community and civil society in South Sudan are already working towards this goal, emphasizing devolving power to local regions for resolution of local conflicts where leadership development, mediation, healing, reconciliation and restorative justice may bring the most support for sustainable peace. How can it be better implemented now, outside of the country and within the camps, for potential implementation in the future within the country? The same may be true of refugees from Somalia, Eritrea and Sudan. What are the dreams and hopes for these countries and their people? How can we help each other achieve them? Here is a quote from Corrie ten Boom, someone who was in Ravensbruck concentration camp during the Holocaust, as a result of protecting the lives of those hiding from the Nazis due to persecution. We cannot give up on South Sudan or the situations in these other countries, especially when some of the solutions may backfire. As the African proverb states: “The greatest dark is before the dawn.” Is dawn about to come? Many recommendations can be made as seen from the above material; however, in order to do so, we must start talking to each other and listening. The issues being addressed are complicated and could have many unexpected and undesirable consequences if pursued without stakeholder participation, dialogue, impact studies, and careful examination. We recommend that a process be established in the very near future to look at all these factors, including the alternative to put a major emphasis that addresses the root causes of these movements of refugees and migrants. We should rally for plans that put pressure and give support to those states around Ethiopia that are former homes to these refugees. Let Ethiopia also evaluate ourselves for what we can do to make our own country a better place for all our own people.